2. Tell us all about the proposal! John proposed on a walk one Saturday morning, early last summer. We had just finished brunch and decided to take a walk to watch a storm roll-in. We were walking through a park, just watching the clouds pass. 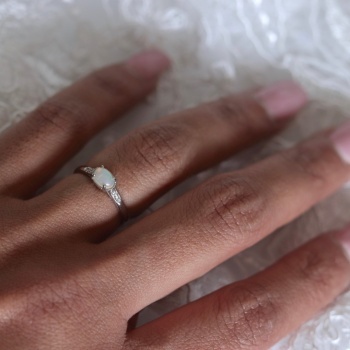 John told me he loved me and got down on one knee, took out my grandmother’s ring from his pocket and asked me to marry him… it was very simple, sweet and honest. We didn’t tell anyone that day. My parents were abroad and we had to wait until the next morning to tell them first, so we spent the whole rainy-day to ourselves celebrating. 3. Describe the wedding planning process. Why did you choose the vendors you worked with? For the wedding, we were kinda one-stop-shoppers. We only looked at one venue, one caterer, one band, one photographer, etc… (I even got the first dress I tried on). At the beginning, we sat down and discussed aspects of previous friends and families’ weddings, picking out our favorite things from each. We then called our friends and contacted those vendors. 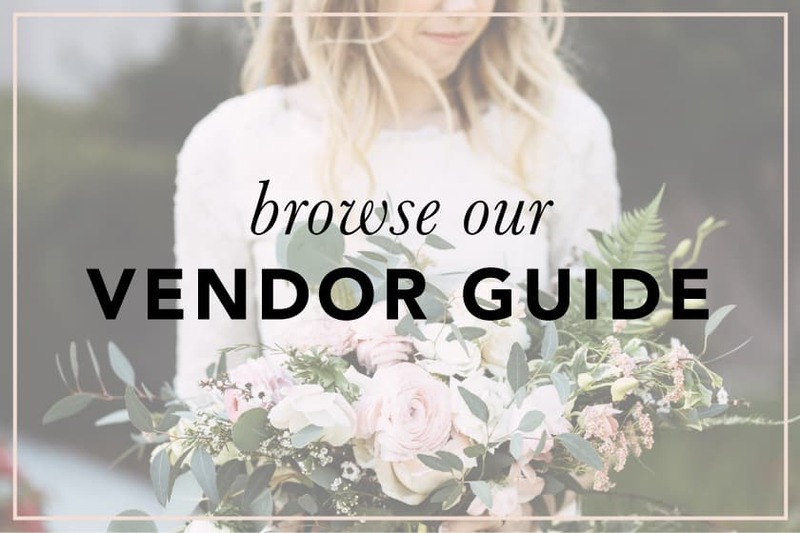 We knew that our friends had ‘ research vendors for their weddings, so we trusted them and just we picked our favorites. 4. How was your wedding day? The more details you can provide, the better! Please also describe your design and decor choices. We were married in February, in what ended up to be a snow-filled day. John and I got ready at separate hotels, as we both wanted the authenticity that comes with seeing each other for the first time, as I walked down the aisle. Thus, the guys had brunch and drinks at their hotel, while the girls had room-service brought up, and were pampered with hair and makeup. A calm and relaxing start was key for both of us! My family is Norwegian so we were married in one of the last Norwegian churches in the Midwest. It is a small church, but I loved that every seat was taken and looking back through photos the room felt so alive. We had two stunning floral arrangements on the front alter, but other than that, we only had candles placed under each stain glass window surrounding the church, and that was perfect for us. We each had eight friends/family in our immediate wedding party, with four ushers and my four aunts as flower girls. My oldest cousin (who’s in his fifties) was our ring bearer. The men all wore tuxedos and the girls choose their own gowns: all long, in shades of grey, silver and lavender. We really just wanted everyone to feel good and comfortable the whole night, plus I loved seeing the girls personalities shine through in each dress they chose. For the ceremony, we tried to make each moment as intimate as possible, and we also tried to include as many of our loved-ones as we could in the process. My brother played the guitar while my father and I walked down the aisle. My uncle and godfather offered readings, while our sister-in-law sang. It wasn’t a long ceremony, but each little moment counted and we felt that everyone got to have a small part. John and I went straight from the ceremony to outside, where we planned to have a few moments to ourselves to take some photos. The biggest surprise of the day was upon exiting, we found the city covered in snow. Our photos brilliantly captured those first few moments of us, outside as newlyweds dancing happily in the cold. Our guests were taken by heated trolleys to the nearby Stan Mansion. There, we had a pianist playing during cocktail hour, and later a three-piece band and lounge singer during the dinner and in between toasts. The venue itself was built in the 1920’s so it has a lot of old-school charm and character that I hoped to highlight within our modern design. We ordered antique serving pieces, satin linens, marbled menus, and vintage champagne glasses which we paired with glittering tinsel chandeliers, geometrictable numbers and sequins runners. We wanted everything to feel light and romantic, yet still fun and lively. We used both aspects of gold and silver, but stuck with an overall grey theme, which helped to tie everything together. The flowers were one of my favorite added-aspects of the whole venue, again capturing both the soft and dramatic feeling of the evening. ( *Side Note: Our venue came bare, so we had to bring everything in (down to the salt and pepper shakers), which can seem overwhelming… but once we had a theme in mind, it was actually so much fun! It took a lot of planning, but was amazing to see everything come together.) After dinner, numerous toasts and two cakes, we spent the rest of the night dancing under tinsel chandeliers. We only chose our first dance songs and then asked the band to play whatever they felt our guest were enjoying. It worked out perfectly, as they played classics the whole night that got everyone up dancing. 5. 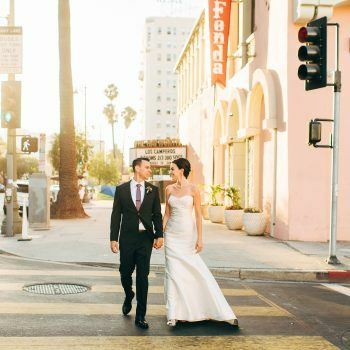 What was your favorite moment from your wedding day? How to pick!? … if I absolutely must- I would say the first few moments John and I had together alone, right after the ceremony, walking out into the snow. We just look at each other with the big flakes coming down and just fully embraced one another and the magic of that moment. 6. 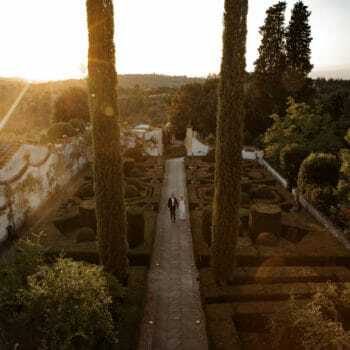 What is your advice for newly engaged couples? 7. How old are each of you and what are your professions? John is 35 and works in Software Sales. I am 32 and a second-grade teacher in an independent school in Chicago’s loop. Fun fact: John and I share our birthdays, we were both born on March 25th.